Specially designed for new and retro-fit co-located battery storage installations, PassivSystems have developed metering solutions to ensure Ofgem FIT compliance and future post subsidy financial models. A specially designed bi-directional metering to ensure continued FIT compliance for DC coupled storage. 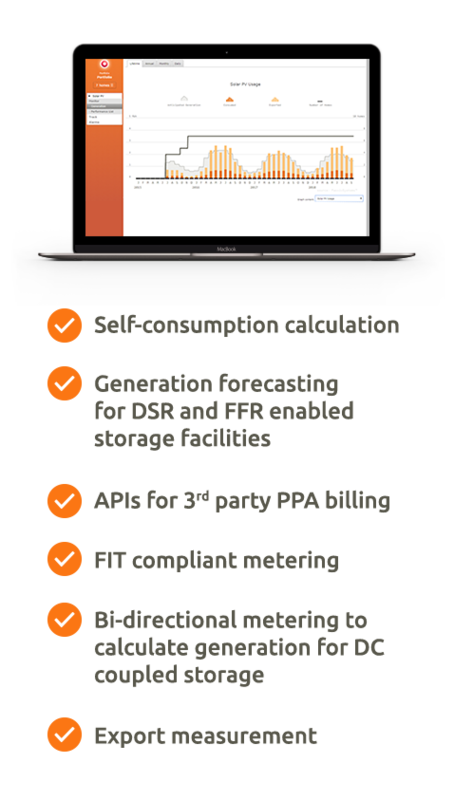 Accurate collection and management of metered data to enable domestic rooftop solar PV PPA billing support. View generation, export and self-consumption statistics across whole portfolios or individual assets.